Trump had promised to deliver an infrastructure measure to Congress during his first 100 days in office. Instead, the White House unveiled guiding “principles” for a $1 trillion, 10-year infrastructure funding plan. In June, Trump and his Cabinet hosted infrastructure-centric programs around the country to promote the proposal’s goal of streamlining environmental regulations pertaining to construction projects. The plan also calls for $200 billion in federal funding to generate $800 billion in private-sector investments. Transportation Secretary Elaine Chao assured lawmakers in May that the legislative text for the plan’s “principles” would be unveiled in early fall, but at the Aspen Ideas Festival on June 29, she noted that hurdles exist in meeting that timeline — especially finding the funding. “There’s just differences about the most difficult thing, which is the ‘pay fors,’ ” she said, referring to sources of funding for legislation. “Everybody agrees that we need to fix the infrastructure, but there’s disagreement about how to pay for it and who to pay for it,” Chao said. 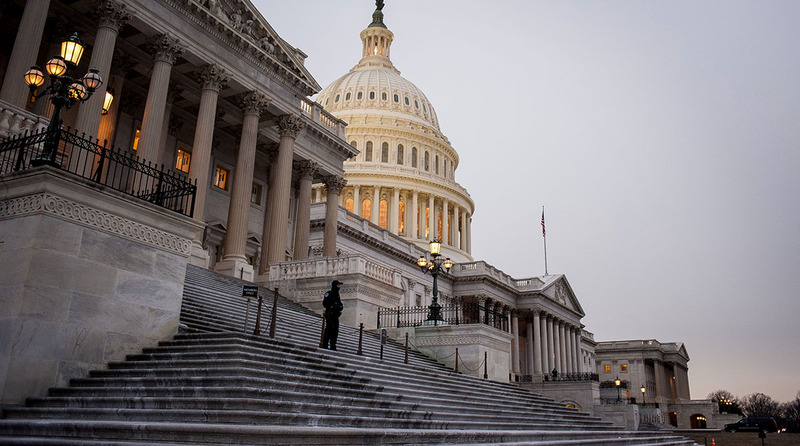 The delay on an infrastructure measure on Capitol Hill, as well as an overhaul of the U.S. tax code, is due primarily to Congress’ inaction to send Trump an overhaul of a 2010 health care law, GOP leaders said. A resolution on health care is not evident, prompting Sen. John Thune (R-S.D. ), the chamber’s top transportation policymaker, to express doubts over the GOP leadership’s ability to create room this fall for a comprehensive infrastructure package. In the House, Rep. Bill Shuster (R-Pa.), chairman of the Transportation and Infrastructure Committee, said he still expects to mark up an infrastructure bill this fall. Before taking up an infrastructure bill, Shuster indicated a desire to complete the reauthorization of the country’s aviation system. For the most part, Democrats have rejected the principles of the administration’s infrastructure plan, arguing that the private sector will be unable to handle the funding concerns from rural states, which require high traffic volumes to generate profits. “A lot of people living in smaller cities throughout the heartland of America are going to be a little surprised to wake up one day to see they have no air service, no rail service, but they can go on the newly tolled private interstate system,” Rep. Peter DeFazio (D-Ore.), said in June. He is the ranking member on the House transportation panel. Several groups representing segments of freight and construction called on lawmakers this year to support a long-term funding fix for the Highway Trust Fund, as part of a tax reform package this year. Led by the American Road and Transportation Builders Association (ARTBA), the coalition stressed the trust fund’s solvency would pave the way for years of funding for infrastructure projects. Nearly 260 House members called on the leaders of the tax-writing Ways and Means panel to address the trust fund. The account relies on revenue from a 24.4 cents-per-gallon diesel tax and 18.4 cents-per-gallon gasoline tax, which have not been increased since 1993. Bud Wright, executive director of the American Association of State Highway and Transportation Officials, emphasized a need for providing states with federal funding certainty so they may plan long-term for big-ticket highway projects. “When America invests in surface transportation infrastructure that supports the movement of freight and goods, it supports economic development, jobs and quality of life because everything from lifesaving medications to automobiles and food moves on the freight network,” Wright said. Aside from an infrastructure plan, staffing at the Department of Transportation remains an issue. The administration has yet to announce a choice for the chief post at the Federal Motor Carrier Safety Administration, the agency overseeing trucking regulations. White House and DOT officials did not respond to requests for comment on when an announcement will be scheduled. Acting Administrator Daphne Jefferson leads the agency. FMCSA has yet to indicate when it would finish regulations for drivers with sleep apnea, speed limiting devices for trucks, and a database for drug and alcohol tests. The agency also has yet to propose rules for autonomous trucks.